2) Consistency – No matter when someone steps to the side of the freeway, they need to see you and value coming from your feed. This means EVERY day, ALL day. Consistency increases the speed at which you can make meaningful connections. 3) Frequency – Think of social media posts as cars on a freeway and your audience as standing on the side of that freeway watching the cars go by. You have to have enough cars on the road so your cars are seen. Social media users don’t stand there watching all day long, they login and log off with tremendous frequency. Your content curation and marketing posts need to be on the freeway all day, every day. 4) Timing – Do you know what time of day your audience is most active on social media? You should not only know this, but you should be posting more frequently during those time periods. 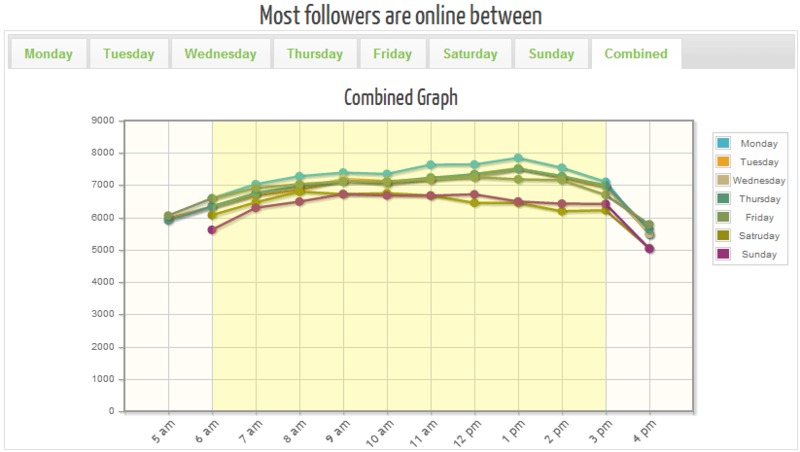 We use a tool called Tweriod to determine these times on Twitter. We have found that they tend to also hold true across the other platforms like Facebook and Linkedin, etc. 5) Content Mix – Be sure that 80% of the posts you’re making on social media is curated content that is not yours or about you. 20% of what you share should be your content or marketing posts that are about you. We believe these are the top five content strategy components that you need to understand and use properly if you expect to be effective with your social media management. 1) Grouping posts – This is a failing I see quite often in social media. Sending a ton of posts grouped together right after another with little posts/value before or after is not effective. I see this on Instagram and other platforms as well. Now we are all busy, but this kind of laziness will ultimately have the opposite effect. Meaning people will start to ignore all your posts because of this practice. 2) Retweeting only – There are many people out there that have no content strategy of their own and simply RT or share other people’s posts. Again, this is not a strategy, well it’s not your strategy anyway. It is you executing many other people’s strategies that is not going to establish any thought leadership or results. 3) Not enough – Probably the biggest shortcoming I see is folks just not posting frequently enough. Remember that the social network user is not logged in all day long watching your feed. They login, log off various times all day long. If you are post <20 times per day on Twitter and <5 times per day on Facebook, etc. nobody is seeing anything you are sharing. 4) Over self-promoting – At this point this should be obvious common sense to most, but unfortunately it isn’t. If you are posting more that 15-20% in your feeds about YOU, you either have an ego problem or don’t understand social media marketing yet. Provide selfless, relevant value in your streams and you will earn the right to pitch what you do. 5) Nothing human – People connect with people, not brands and logo’s they’ve never heard of. Be human and approachable. Pretending you are some big company, being sterile and corporate-like in your feeds will not build relationships. In social media marketing content is where everything starts. If you intend on getting the best results understanding what content drives your audience, the proper quantity and timeliness of that content in your streams and consistency are what get conversations and relationships happening. This is where traffic, revenue and ROI comes from. 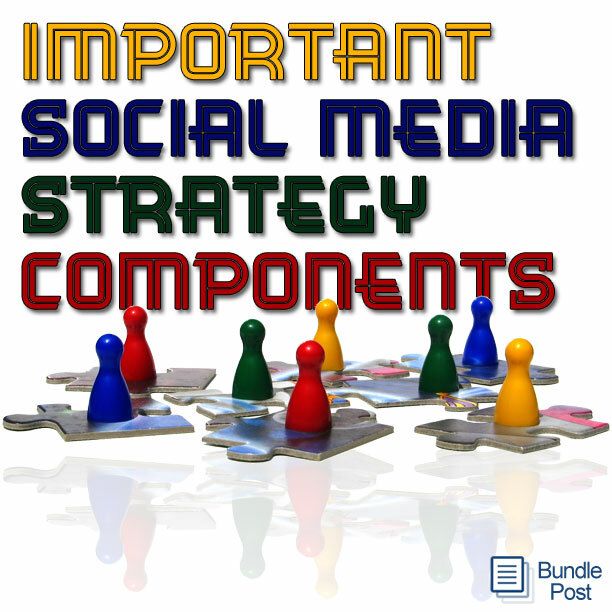 What components are you executing with your social media content strategy? I’m curious — what strategy would you recommend for determining the 3-5 topics most important to your social media audience? I have some ideas about this but would be interested to hear your opinion. Hi Robert, great insights! Didn’t know that Twitter posts per day should be at or above 20 posts. As a content creator, it’s vital to integrate your social media efforts with your overall content strategy to successfully build a community on these networks around content. Couldn’t agree more with each word you’ve said. In fact, shared my thoughts on similar topics earlier. 1) It’s very important to maintain an editorial calendar to keep sharing timely & good quality content. It’s ultimately content which drives all the conversations on social media. 2) A storytelling approach is a winning formula to create shareable content. This is a quick read that really packs a lot of valuable tips into one handy post, Robert. Thanks, and in fact, I’m going to share so that my followers and friends can gain some of these basic and timely insights. I just wanted to say that this is an awesome article! I completely agree with you that frequency and a sufficient content mix are vital when components in any content strategy. Here is something that I incorporate in my content strategy to make sure that I have quality content. I produce content that comes from the people who understand the most about why somebody buys, the consumer. Customers are a vital resource when making content material to help you boost your business’s success. Not only will they tell stories about their experience with you, they may also have quirky antidotes that can help boost the morale and performance of your organization. yes, content creation is a whole other animal that i did not get into in any detail within the post. The fact is that the average SMB doesn’t have the resources, nor do they need to do heavy content creation that frequently. So I focused on marketing posts and curation to cover the majority of folks. I talk on this often – “people connect with people.” Willyou talk with JohnSmith at CocaCola? Sure. But who’d reply to @cocacola?